When we think of bathroom, we usually refer to a room for personal hygiene.Some bathrooms will contain a bathtub or even a shower. Some bathrooms may also include a bidet. In many countries, a bathroom is commonly used to mean any room containing a toilet and a sink only. In most South African homes, an en suite is the most common in the main bedroom. Others may have 1 or 2 shower rooms and a guest bathroom and toilet. Some South African homes may even have a family bathroom. Some may have even a powder room available. A bathroom renovation can improve the resale value of your home without a doubt. It is often just the style of the bathroom that matters. Ensuite: This is normally a bathroom or a shower room attached to a bedroom. Access is granted from that bedroom. Some South African homes will have more than 1 or 2 ensuites available on their property. Powder rooms: Ever heard the term ½ bath. That is a room that normally contains only a toilet and a sink. Family bathrooms: Normally contains a shower, a bathtub, a toilet and some homes a bidet. Jack & Jill bathrooms: Normally a term used in most European countries. This is a very cute idea for a children’s bathroom renovation. It is a bathroom with 2 doors, Access is granted from 2 bedrooms and in some cases a third door leading to the hallway. Wetrooms: wet rooms are used mostly in European countries where there are heating systems below the floor. A wet room must be water proofed and contains only a shower. Some homes are now opting to install toilets as well as bathtubs in the wetrooms. 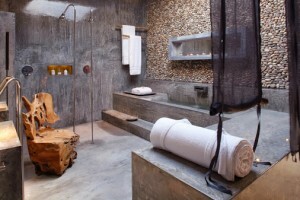 Shower rooms: ¾ bathroom normally contains only a shower cubicle but no bathtub. It is very important that when you work with your bathroom designer to always make mention of the type of bathroom. Most homeowners concentrate too much on the bathroom finishers than the actual layout and design as well as functionality of the specific bathroom. Religion. A Muslim bathroom renovation might be slightly different from another etc. From a decorative point of view, a bathroom always present a challenge to most bathroom designers as well as plumbers. It is by far the most difficult room to renovate as it includes a major amount of planning, plumbing, tiling, lighting and beautiful finishes. In some homes, a bathroom is the most confined area to work in. Electrical appliances such as heaters or lights. Bathroom lighting should be uniform, bright and must minimize glare. Adequate lighting should be used across the entire bathroom space for showering, shaving and grooming. Adequate lighting also minimizes the risk of slipping or accidents. Rails support for the elderly and sick or even rails for towels. Permanent connectors that can be installed rather than sockets or plugs to minimize the risk of electric shocks. Special sockets are permitted for electric shavers in most South African hotels and in some homes. The use of mirrors in a bathroom. A modern bathroom can cost anything between R25-R75000 including material. 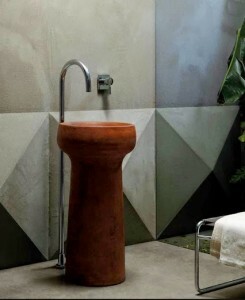 It all depends on the type of bathroom and finishes we are looking at. It would be easier and cheaper for the client to rather purchase own materials and request labor only from the plumbing company assigned. It all depends on the terms and conditions of that particular plumbing or bathroom Renovation Company. Drain Ratz Plumbers & Builders pricing policy will be qualified after a design and schedule of products to be fitted has been prepared. We shall provide you with a firm quotation and not an estimate. Depending on the size of the bathroom it may take between 8-14 days. We make sure that you have access to your bathroom whilst renovation is in progress. Call Drain Ratz Plumbers & Builders for an out of this world bathroom design and renovation. All our workmanship is guaranteed for 12 months and insured against any bad workmanship.